It’s Friday and we’re really pleased about that. 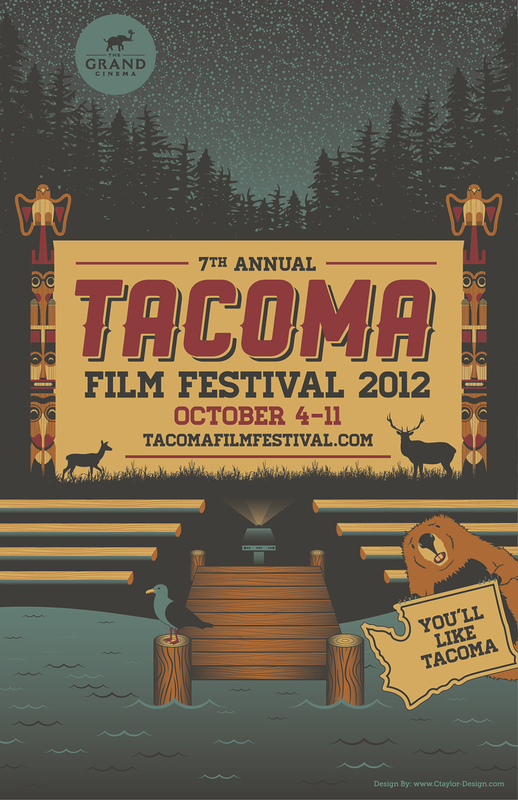 But, we’re even more excited about the Tacoma Film Festival (TFF), which starts next week. A production of Tacoma’s very own Grand Cinema, in collaboration with many community partners, The Tacoma Film Festival celebrates current independent film from around the globe with a special nod to filmmakers from the Pacific Northwest. Beyond just screening these independent films, many of the filmmakers attend the screenings. 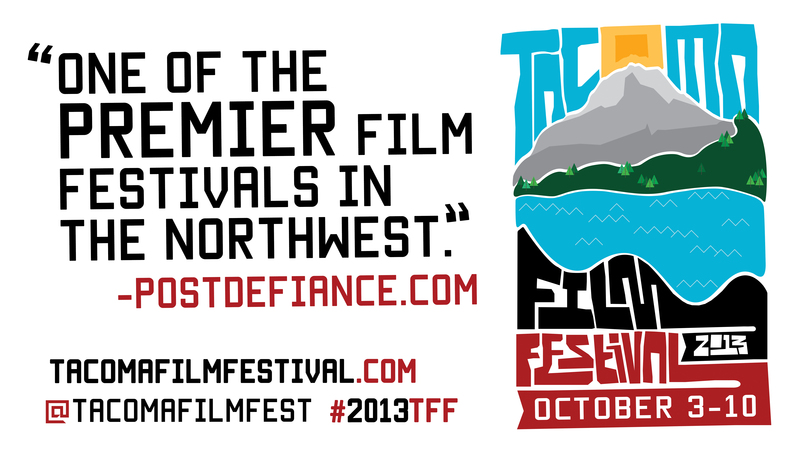 This year, the TFF brings us a whopping 123 films spanning all genres, subjects and styles including documentaries, feature length films, short films, and films produced right here in the Pacific Northwest. 10 of those 123 films were made by Tacoma filmmakers and almost 40 by Washington state filmmakers! You’ll want to check out the Tacoma Film Festival website to help you navigate the large volume of films and plan your line-up. Annie Wright School, 827 N. Tacoma Ave.
University of Puget Sound Kilworth Memorial Chapel, 3410 N. 18th St. When: October 3 – 10, 2013. Check website for complete list of screening times. All screenings at UW Tacoma are free! Kick-off the 2013 TFF with a giant, indie film-loving, party on Thursday, October 3rd at Annie Wright Schools. Enjoy a great dinner provided by Maxwell’s Restaurant, a cash bar and the company of fellow movie-lovers and see a screening of the first film of TFF 2013 – the hysterical and timely comedy feature G.B.F. (Gay Best Friend). G.B.F. screenwriter George Northy will be joining the evening’s festivities. The Gala begins at 6:30 p.m. and the film starts at 7:30 p.m. Purchase a VIP ticket to receive the dinner and a movie – limited to the first 100. Cost: $25 for VIP gala & movie for Grand Cinema members; $30 for VIP gala and movie for non-members; $11 for movie only. It’s in the can! In August, the Grand Cinema will be honoring winners of Filmmaker Magazine‘s prestigious “25 New Faces of Independent Film” awards with a week-long film fest, the only one of its kind in the country. “This event has the long-term potential to be the most important recurring film event Tacoma has ever had,” says Grand Cinema Executive Director, Philip Cowan. “Filmmaker Magazine has been doing their list since 1998, and it has always been interesting to see all of the talent they bring together for the list.” The publication touts its Top 25 issue as offering an overview of the current indie scene, and a scout for new talent. This year’s crop of films includes notable genre flicks and sci-fi works; many of the latter featuring mind-bending special effects and motion graphics created on a micro-budget. The magazine also explores how the upcoming generation of filmmakers is leveraging new media to create, promote and distribute their movies. 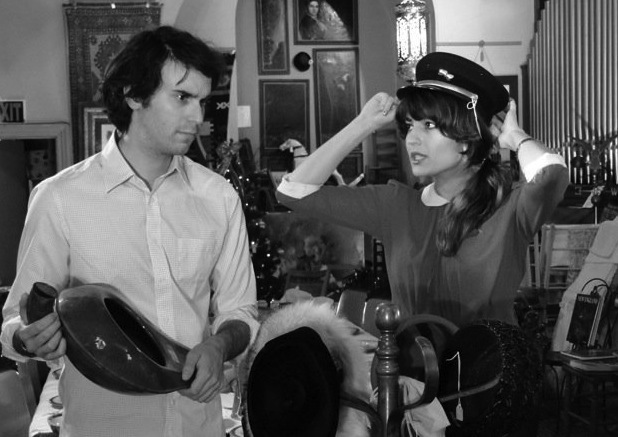 Alex Ross Perry and Carlen Altman star in "The Color Wheel." Altman will be present to talk about her award-winning screenplay for the movie, at the Grand Cinema!